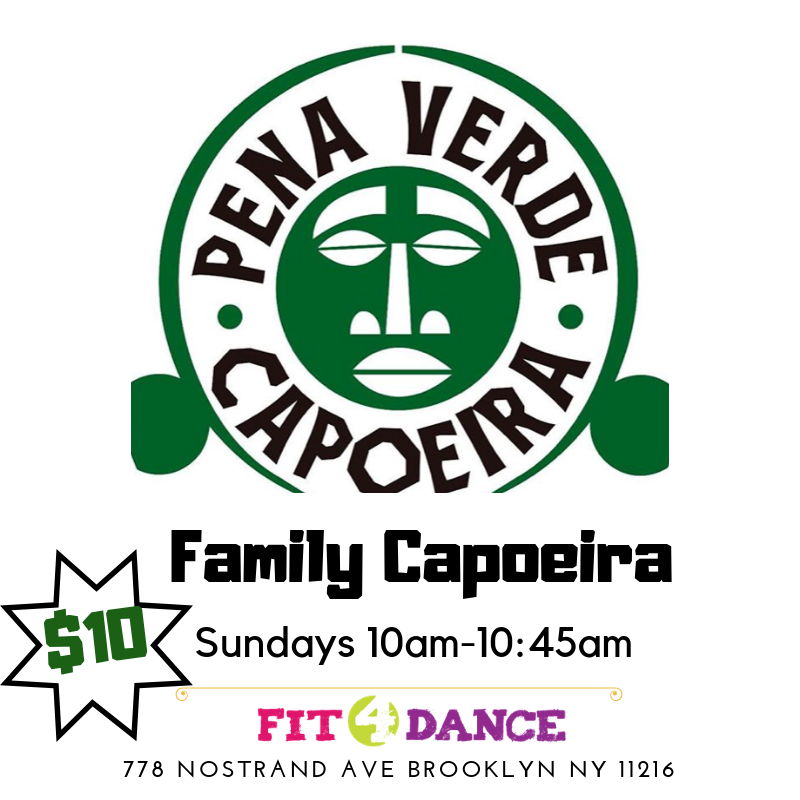 We're super excited to welcome Pena Verde to Fit4Dance for our Sunday Family Capoeira class. Capoeira is a fusion of Afro-Brazilian martial arts, music, dance, rhythm and acrobatics. The movements taught in Capoeira class develop cardio; strength; agility; flexibility; and rhythm. You will also develop a beginning Portuguese vocabulary by learning the movements and the music of Capoeira, as well as the origins and history of the art form. Capoeira is a high intensity practice that gives you the opportunity to express yourself in a creative and positive way! All ages are welcome in this fun class. Children under 4 must have an adult present. The cost of this class is $10 per person. Family Capoeira - Fun for all ages!